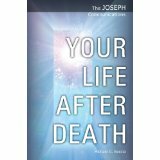 Your Life After Death: The third book in the series "presents probably the most comprehensive account ever written of just what lies in store for each of us when we leave the Earth and our physical bodies behind, delivered by someone who has lived in an enlightened sphere of reality beyond the veil for thousands of years." Jospeh truly explains and reminds us of our guaranteed eternal divine beingness. We are so much more than what we focus on here during our earthly journey, Joseph reminds us it is imperative to open to this eternal consiousness. I have recently become aware of, and personally endorse the channeled teaching information that is coming from a profound channel: Michael G. Reccia, who has brought through a series of 4 amazing books I refer to as "The Joseph Communications". They are written individually, and available through Kindle on that basis in ebook form through Amazon.com as: Revelation: Joseph's Message, Illumination, Your Life After Death, The Fall. Having studied metaphysics for many decades now, I find that these channeled books are a fabulous and clear presentation of the basics of the metaphysical universe, and a spiritual teaching to live in Light during this process. They offer a high vision and expanded information on the reason for our earthly adventure, how to move through this earth walk, and more importantly, how to live beyond the earth plane to bring through advanced frequencies now and as we reexperience our true expanded self in other dimensions.